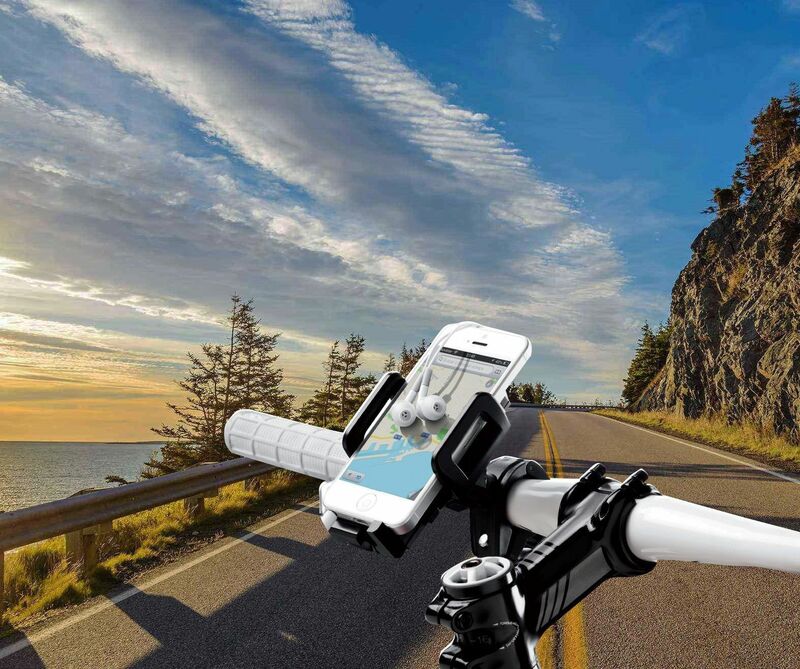 A mounted phone holder that you can attach to your bike. 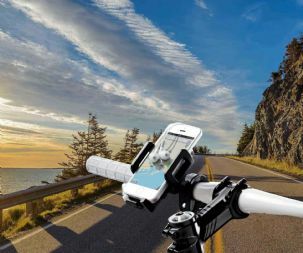 The holder has a foam back and little props on the bottom that pull out to hold your phone, on the side there is a button that when pressed automatically opens the side arms that will grip your phone in place. You can set the holder to any size you would like and suits most phone types.